Kakao Mobility said Thursday that it will delay the formal launch of its carpool service that was initially slated for Monday, citing a need to engage in continued discussions with taxi drivers, the government and other industry stakeholders on the issue. 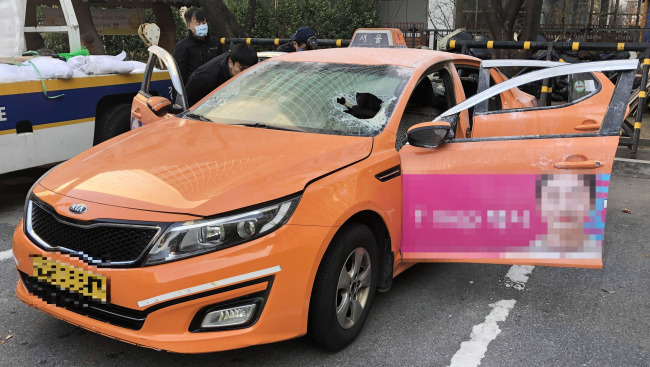 The move came after a 57-year-old taxi driver burned himself to death in protest of Kakao’s carpool service plans Monday, shocking the public and driving up tensions between the company and taxi unions that have been staging fierce protests against the firm. Kakao Mobility, the transportation business unit of South Korea’s mobile messaging giant Kakao, said the official launch of its carpool service will be delayed for the time being. “After much consideration, we have decided to delay the official launch of our carpool service in order to further consider the diverse opinions of taxi drivers and users,” Kakao Mobility said in a statement. On Friday, Kakao Mobility launched a beta version of its carpool service with randomly selected users of the Kakao T app, and set the Dec. 17 formal launch date. The carpool model is similar to that of foreign ride-hailing apps like Uber or Lyft, but in Korea the service purports to function within operational limits to stay legal. In Kakao’s case, the firm has limited the number of rides a driver can offer to twice per day, without time restrictions. Korea’s transport law bans the use of private, unlicensed vehicles for commercial purposes, but makes an exception for such activities during “commute hours” during which non-taxi drivers can engage in paid driving activities. Leveraging this regulatory window, a number of Korean startups have launched carpooling apps in the last few years. But it’s the first time that a big company like Kakao is stepping into the business space. As a response, local taxi unions have been claiming that commercial carpooling violates Korea’s transportation law and threatens their job security. They have been staging multiple protests demanding Kakao terminate its carpool business plans.